The internet and subsequent network technologies have greatly increased the ability of customers to do business globally. As your customer base grows, your need to be able to handle communications with customers and suppliers increases, as well. You need a telecommunications infrastructure that is capable of handling the volume of calls that you receive. As your business grows, you may find that an administrative assistant can neither handle their communications load alone nor duplicate themselves. No matter how large your customer base is, or how much revenue you generate, it is not practical to hire a team of administrative assistants. With cloud call center software, you get the increased functionality of cloud-based, technology, save on hiring and training costs, and also increase the reach of your marketing. Continue reading to learn how this software can save you money and time. Cloud technology, in and of itself, has truly revolutionized how many businesses operate today. Cloud computing is essentially computing done by virtual servers. This allows developers and users to improve or add features to applications while still making the app available for use. Cloud-based software is managed offsite by the software’s developers — on their servers. 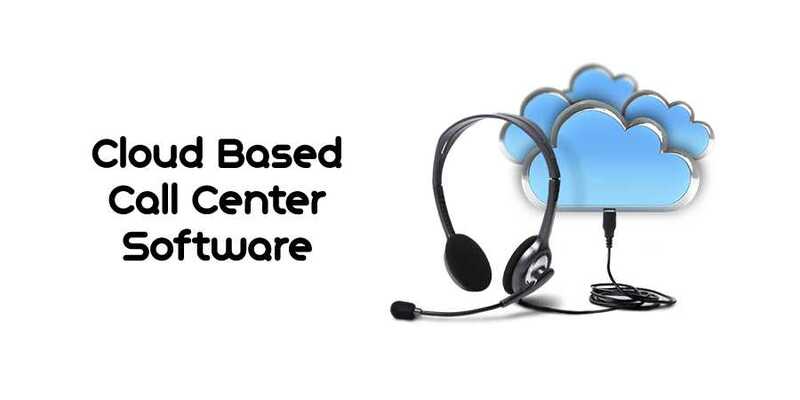 Cloud call center software gives your company a department that is dedicated to handling customer queries. This means that your administrative assistant is free to perform other tasks essential to running your business. You can devote greater attention to other aspects of growing your market by funneling clients so that only callers are only directed to your office when the need arises. Hiring and training employees is expensive. Companies spend hundreds — or even thousands — of dollars every year on bringing employees up to speed on company standards and practices. This time is taken from performing essential, business-related functions. It is more expensive for small businesses to hire and train employees than it is for midsize and large companies. Cloud-based call centers eliminate the need to bring in a team of specialists to manage and broaden your communications. Because this software is managed by the developers — and runs on their servers — it eliminates the need to hire staff just to oversee it. Furthermore, cloud call center software providers already have qualified IT specialists who know how to use the tools of the software to handle and grow your engagement with the general public. Until now, you have seen how outsourcing your telecommunications to the cloud could save you time and money. If that is not a powerful enough motivator to get you on board, then consider this: This technology can also increase your revenue. Cloud-based call center technology provides you with more than just the ability to handle inbound and outbound calls. This technology gives your company the ability to engage potential customers as well as current ones. People spend more time online now than ever before, and this provides your company with a great opportunity to meet consumers where they are — if you take advantage of it. Because the use of social media has spread like wildfire, social media platforms are a prime place to meet new customers. You can communicate with them on a platform such as Facebook or through SMS text. Communicating directly with potential customers is a much more personalized approach than even a targeted ad campaign. You can employ chatbots that offer people support or invite people to answer questions and services upon visiting your website. Ultimately, the more you interact with potential patrons, the more likely you are to turn them into paying customers.